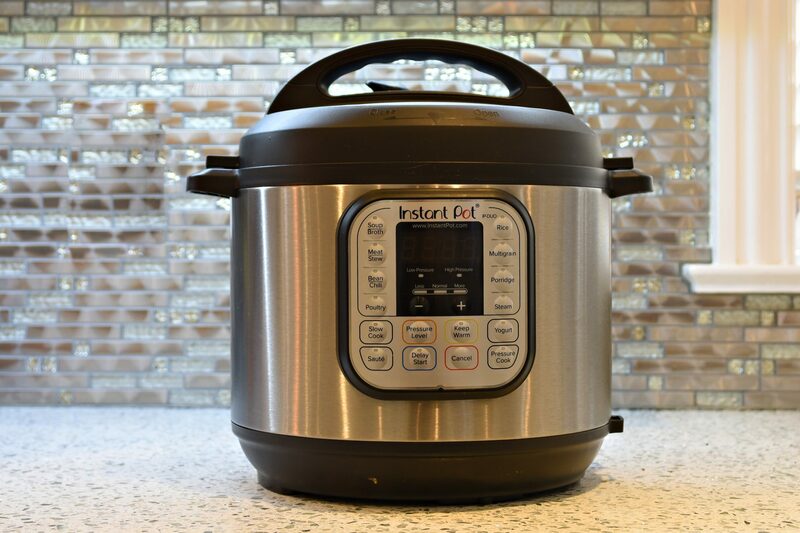 You may have heard people talking about this thing called the “Instant Pot” while cruising online, on your social media feed or while chatting with friends. In my case, it was last Fall when my mom kept telling me how great this thing she called the “Insta Pot” was and how I had to buy one and how everyone had one except me. She seemed to bring it up at every opportunity to the point where I was basically rolling my eyes and tuning her out. I told her that I already had a crock pot so why did I need another big electric pot cluttering my kitchen. During the Christmas holidays, a box was delivered to my office and it was the “Instant Pot”. I smiled knowing that this surprise gift was from my mom. I recall taking the big box home and being annoyed that it was large and awkward to carry down the elevator in my office building. The Instant Pot continued to sit in the box until January 1, 2019. It was a holiday, I was home and like every year, the city had basically shut down for the day. I stood in the kitchen wondering what to cook for dinner and my eyes fell upon the box containing the Instant Pot. I opened the box, looked through the manuals and decided that the enclosed recipes weren’t appealing. I found a chicken recipe online and decide to give it a try. Literally about 20 minutes later, the table was set, I had made a salad and the Instant Pot meal was ready to serve. I had also managed to clear and clean the counters while the meal was cooking. My mom was right, something I don’t often admit. The Instant Pot is NOT a slow cooker. It’s this magical pot that enables you to sauté, pressure cook and do so much more all in one pot and in lightning fast time. The flavours are intense, sauces thicken well, the meat cooks evenly and I could go on and on with all my positive thoughts about this kitchen gadget. I am in the process of creating new recipes which I will share shortly, stay tuned!